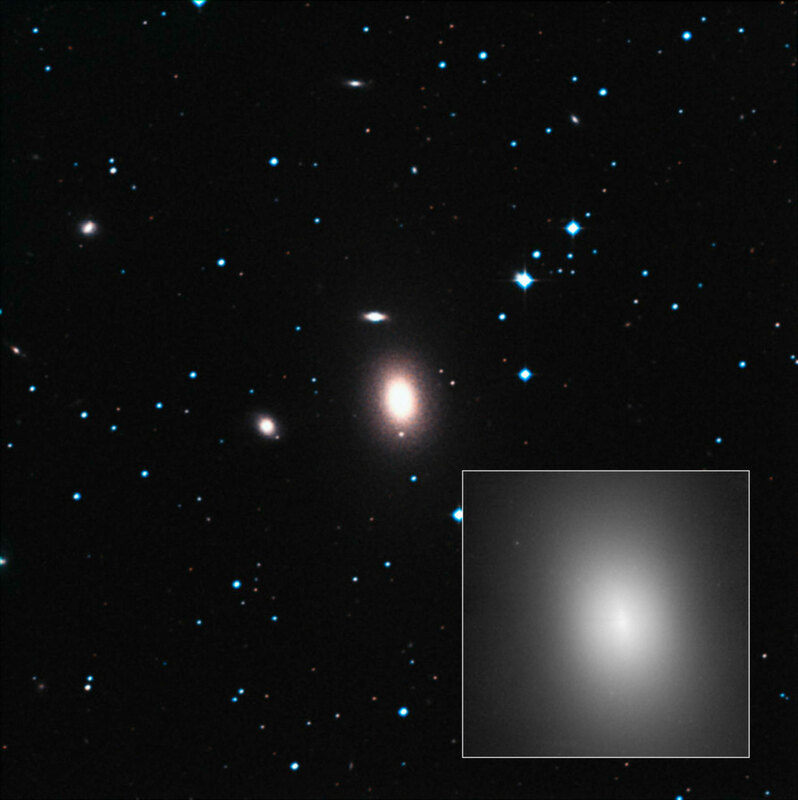 Astronomers have concluded from the study of NGC 1600 and similar galaxies that the relative populations of stars of different masses in a cluster of stars (the IMF) is influenced by the distribution of velocities in the cluster. The gas and dust in giant molecular clouds gradually come together under the influence of gravity to form stars. Precisely how this occurs, however, is incompletely understood. The mass of a star, for example, is by far the most important factor constraining its future evolution, but astronomers do not clearly understand what determines the exact mass of a newly forming star. One aspect of this problem is simply knowing how many stars of each size there are, that is, knowing the distribution of stellar masses in a large cluster of stars. The initial mass function (IMF) describes this distribution, and is currently based on an average from observations of stars in our Milky Way. The observed IMF has relatively few massive stars (i.e., ones more massive than the sun). Sun-sized stars are comparatively abundant. Stars somewhat smaller than the sun are even more common, but then stars of decreasing mass (down to one-tenth of the sun’s mass or even less) decrease in numbers. The precise statistics for low mass stars are somewhat uncertain because they are faint and hard to detect. The theoretical basis for the IMF is also being debated, as is whether the IMF of the Milky Way is representative of the IMF elsewhere in the universe. The relative abundance of elements (the “metallicity’) in the collapsing cloud, for example, has been suggested as one way to modify the IMF. The idea of a universal IMF, however, has been a cornerstone of stellar theory for decades, but recently there has been considerable effort to test and challenge this assumption, made possible in part by sensitive instruments capable of measuring stars that are smaller and/or fainter. Since stars of different masses have atmospheres showing different spectral features, spectroscopy of a distant cluster whose individual stars cannot be resolved can nevertheless reveal the proportions of stars of different masses within it from the proportions of these features. CfA astronomer Charlie Conroy and four colleagues are conducting a study of the IMF with the Keck telescope and its spectrometer. They do find some variations in the IMF and, contrary to some expectations, they conclude that metallicity is not the sole driver of these variations. Instead, they conclude that the velocities of the material in the star clusters seems to be a key factor. The result, which now will be followed up with more measurements, is important because it suggests a different theoretical framework is needed to explain the origin of the IMF. Reference: “Initial Mass Function Variability (or Not) among Low-velocity Dispersion, Compact Stellar Systems,” Alexa Villaume, Jean Brodie, Charlie Conroy, Aaron J. Romanowsky, and Pieter van Dokkum, ApJL 850, L14, 2017. Be the first to comment on "Astronomers Find Variations in the Initial Mass Function (IMF)"